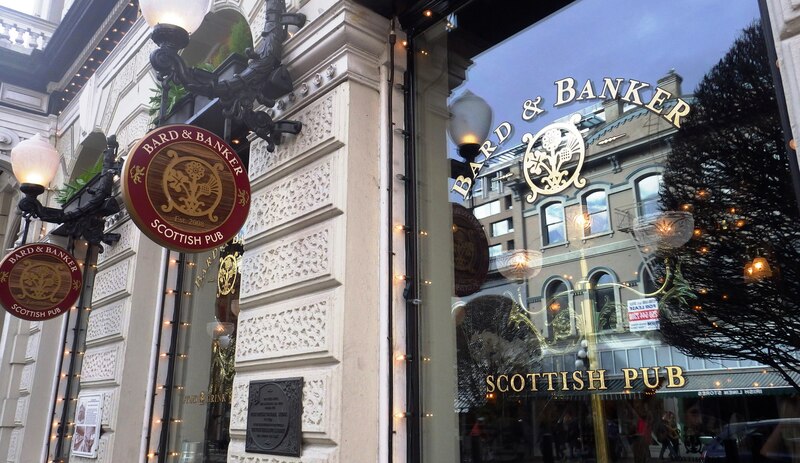 Image | This entry was posted in Cityscapes, Places/Travel and tagged Bard & Banker Scottish Pub, British Columbia, buildings, Government Street, Munro's Books, Murchie's Tea & Coffee, Rogers' Chocolates, streets, Victoria. Bookmark the permalink. 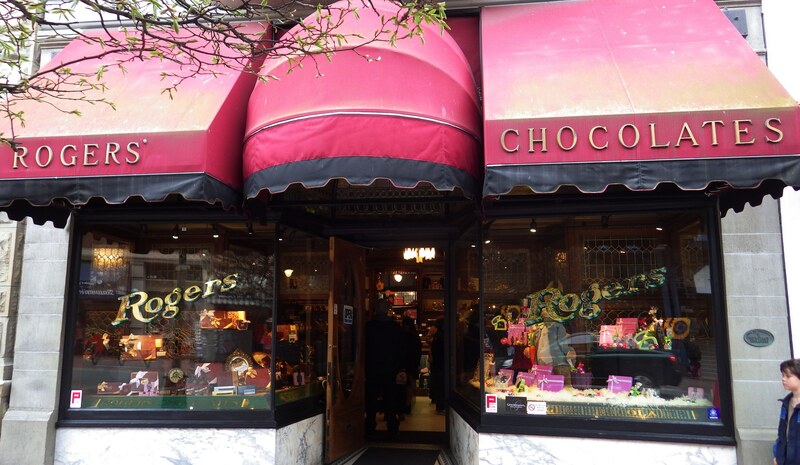 Yumm, Roger’s chocolates! 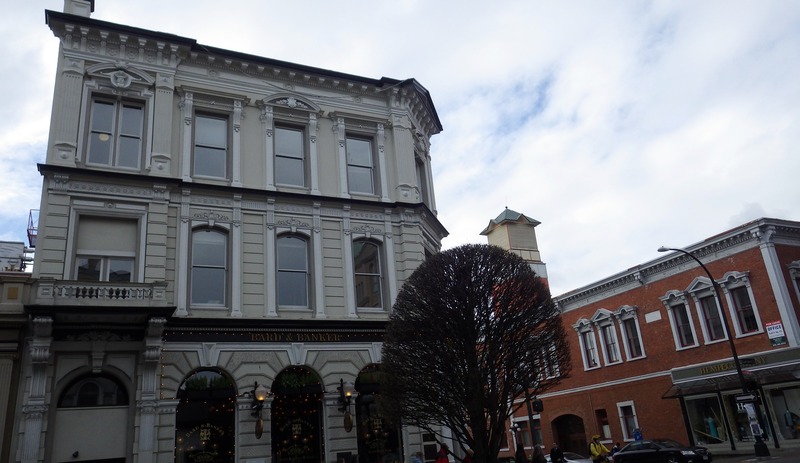 Nice shots, interesting architecture. Is the road closed off to car traffic or was your timing good? 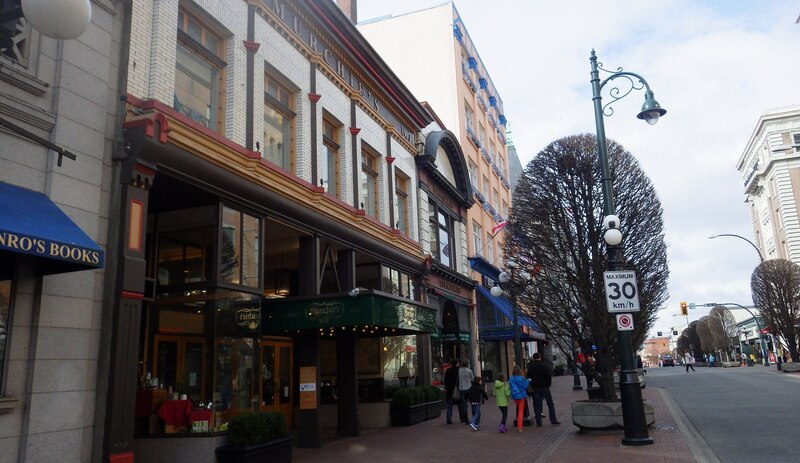 The Rogers building dates from 1903 and presumably the ones next to it are of the same vintage. 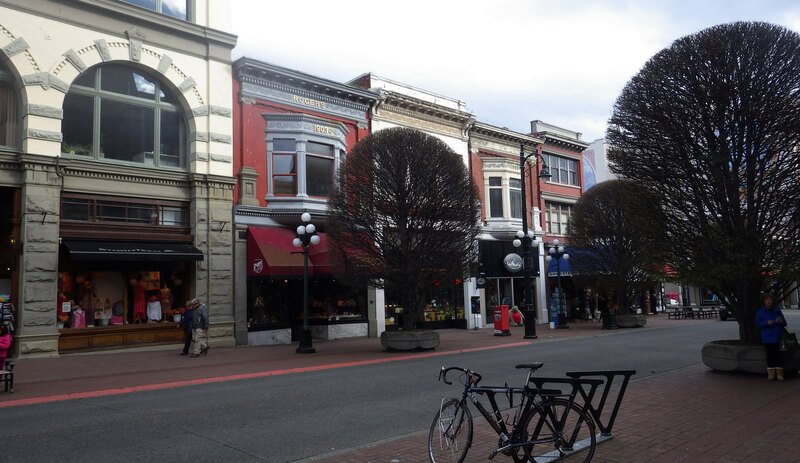 My great-grandparents lived in Victoria in the early 1900s and I like to think of them seeing the same buildings that their great-grandchild and great-great-grandchildren were looking at when these photos were taken. 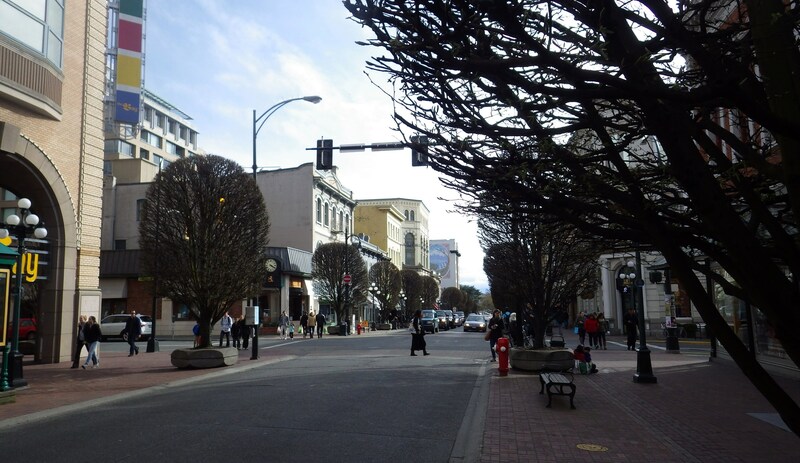 You should work for the tourism board.